With all this holiday happiness floating around we have more time for adventures! 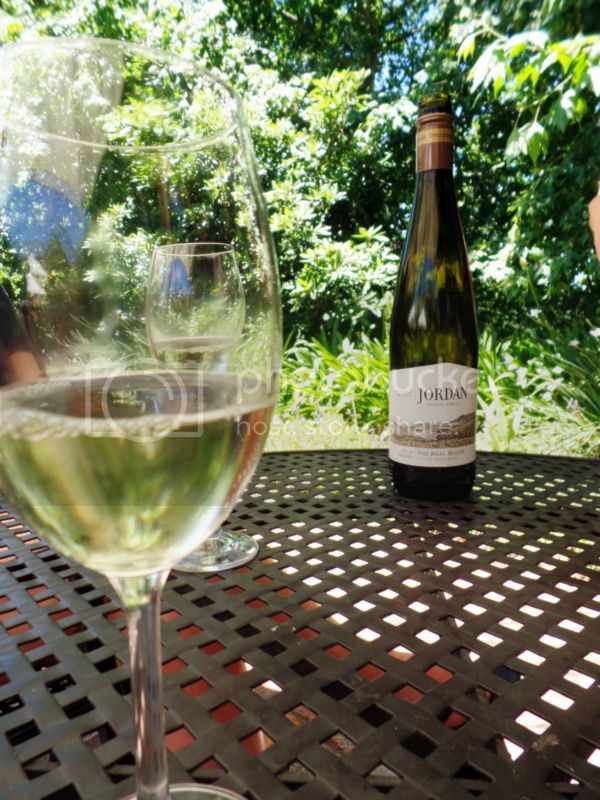 Our adventures have included some fantastic trips to Stellenbosch! One of our favourites so far has been our visit to Jordan. 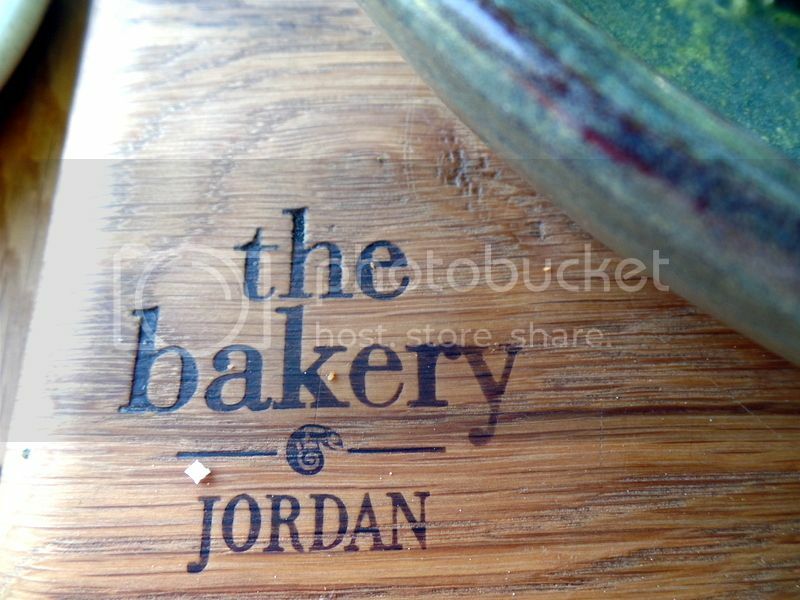 We started off with a wine tasting and then visited the Bakery at Jordan for a really gorgeous lunch! 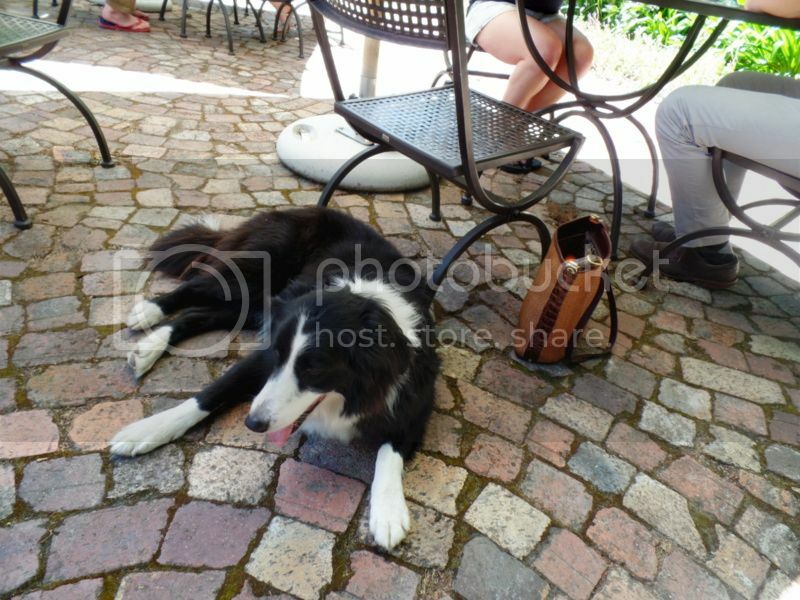 I made a new buddy at the wine tasting! He wasn’t big on the wine but was all about the strokes! We fortunately were big on the wine – some of our highlights from the tasting include the light and fresh rosé, the chardonnay and their gorgeous dessert wine! YUM! 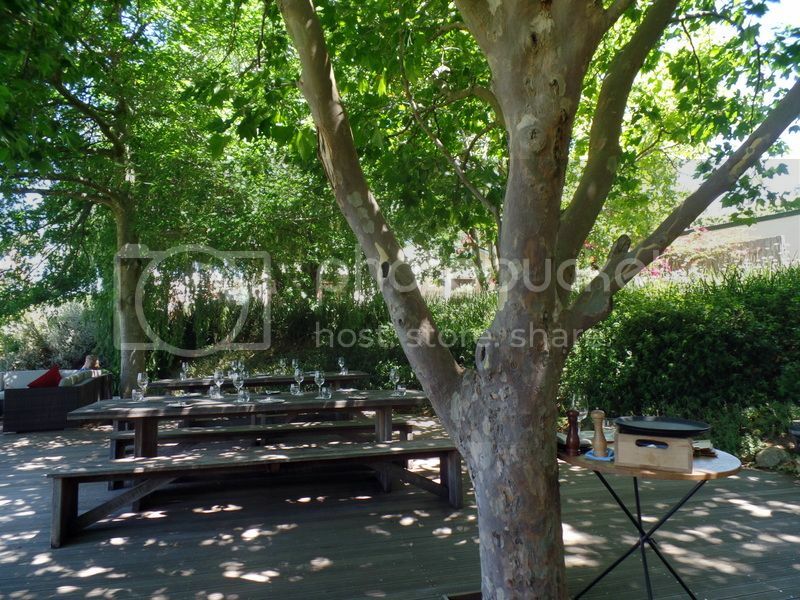 After a very relaxing tasting in their courtyard we were ready for lunch! Jordan has to be one of the most beautiful wine farms in Stellenbosch. We had lunch outside under giant trees overlooking the river going past. You really feel like you have escaped busy Cape Town! 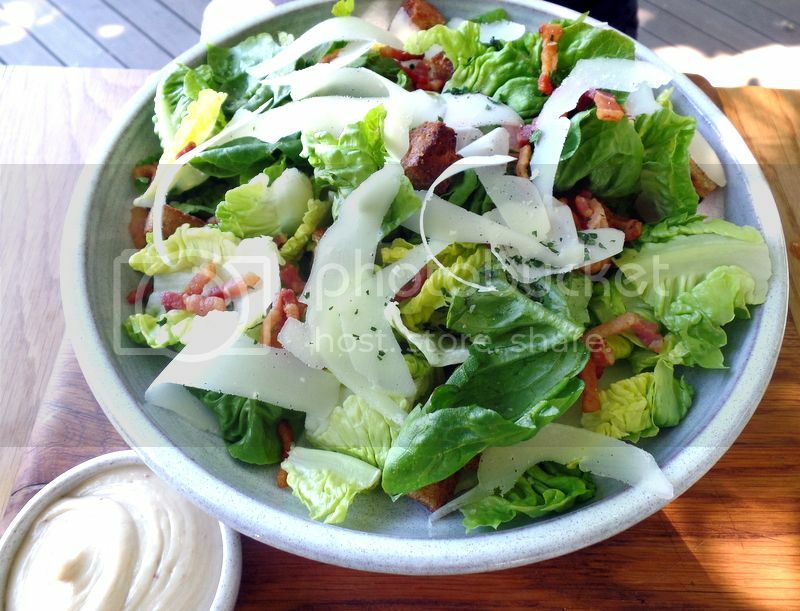 This is the giant Caesar Salad with sour dough croutons, pancetta, parmesan and anchovy garlic dressing for R65. My healthy friends opted for this option and they weren’t disappointed. The salad was giant with lots of crispy bacon and plenty of parmesan curls. 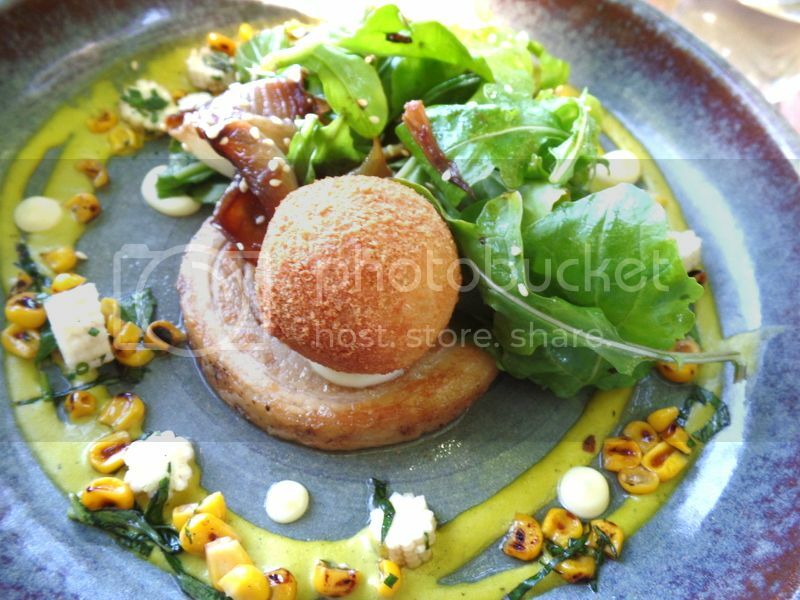 I decided against the healthy and went for a seriously gorgeous slow roasted rolled pork belly with sweetcorn and basil puree, arancini, pickled baby corn and a rocket salad. This sounds like quite a serious winter meal but it was actually wonderfully light and afterwards I didn’t feel like I was rolling out of the restaurant, which is often a byproduct of risotto and pork belly! The arancini ball was light and creamy. My inner fat kid would have loved another one but it was probably for the best with regards to my waist line that it wasn’t there! 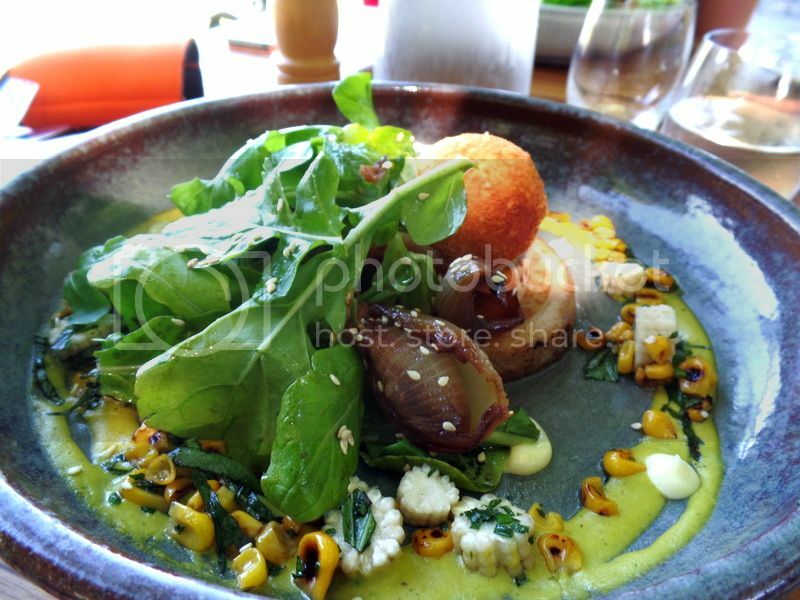 The pork was wonderfully tender and perfectly cooked and the addition of the sweet corn really highlighted the sweetness of the pork belly. The sweetcorn and basil puree was seriously delicious and it was a struggle not to stick my fingers in the sauce to get every last drop! 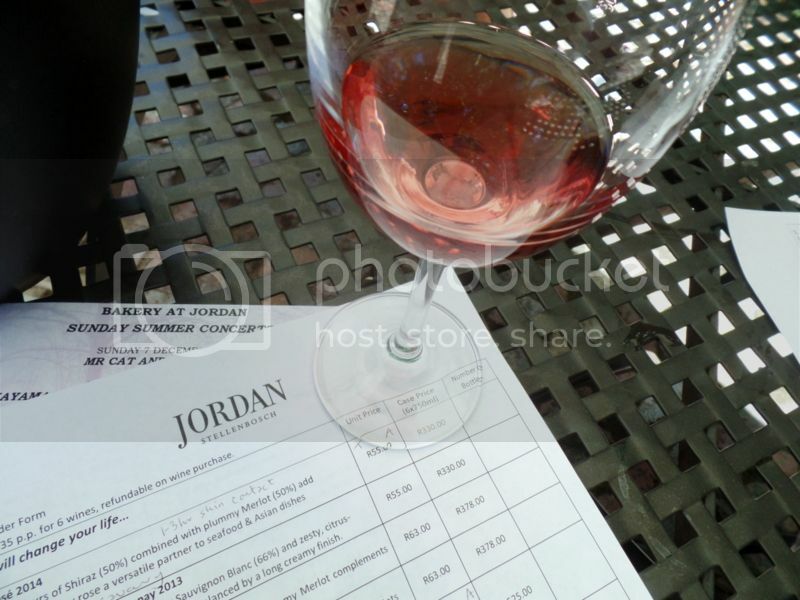 We had an outstanding lunch at Jordan and I am greatly looking forward to a repeat visit soon! 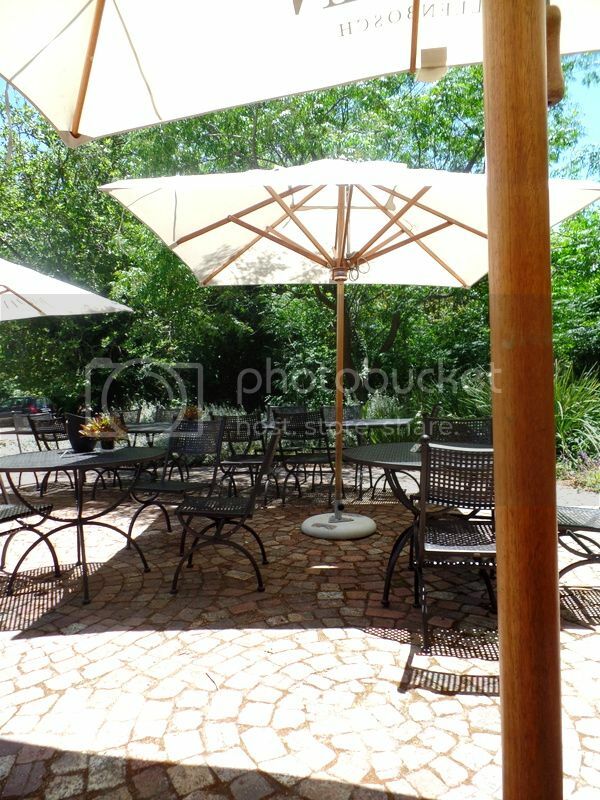 Next time you’re out exploring the winelands don’t forget about this little affordable gem underneath the trees! Keep up the good work – you are an inspiration!